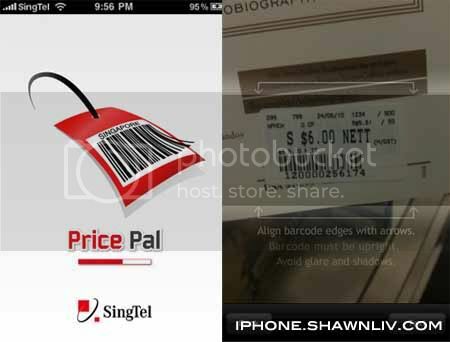 Price Pal, a Singapore price comparison tool that uses bar code scanner function of the iPhone or using simple text search. Works better for prices and reviews of new international book titles commonly found in Kinokuniya & Times Books Store, rather than local and old books. Works well also for common groceries (e.g. cooking oil, can food, diapers, milk powder) from popular local supermarkets eg NTUC, Seng Siong and Cold Storage. Perishables like fruits , vegetables and frozen foodstuff are not available. Price pal works better on iPhone 3GS and above. The range of books and groceries are continuously being expanded, and will be even better over time. We look forward to your email feedback (available in the “i” button) to make this service even better.